Olivia practices the art of hand painting flowers on white fabric, which she sews into huipiles. She is a bread maker. Beyond flowers, she & her husband cultivate yuca, espelón, limes, squash, fresh eggs and, of course, maize. We can't wait to see what the Spring Collection has in store! Sami Euan Chel & Olivia Tep Selis have three little girls & a field full of flowers to tend to on the daily. Snugged along the Ruta Puuc in Cooperativa, Emiliano Zapata, Yucatán, the farm has been tended by the same family for generations, thriving off of the seeds from the seeds of mothers, grandmothers & great grandfathers. 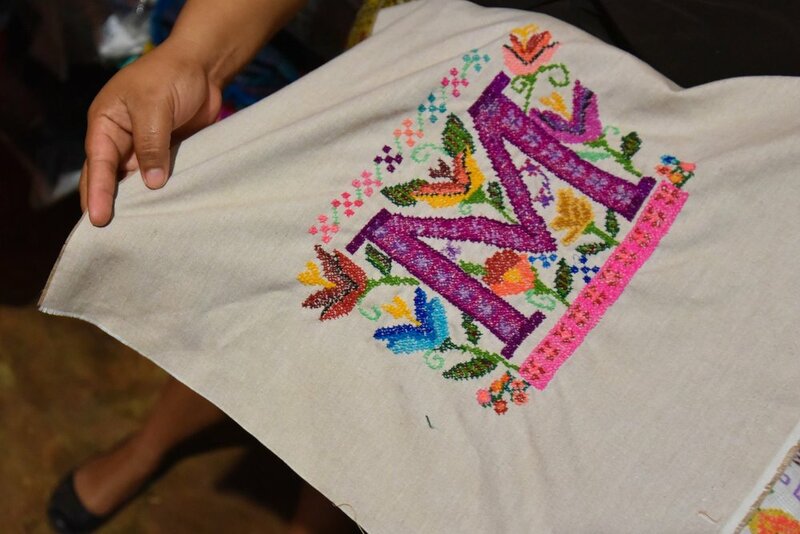 The tradition of tending flowers is long-held in Yucatán, whether in the garden, murals, or on the sleeves of the traditional dress, the huipil. While at the farm, Allie & I picked up several tez and birjinia flowers to decorate our altar for Hanal Pixan, a reverent season in the heart of harvest, where we honor the ones that we've lost. It's interesting that Día de los Muertos is nestled into the luscious October month, when there's so much life & fauna everywhere. Looming over roadsides, gushing out of truckbeds, & heating up over open fire stoves. Rain is always in the air, even when it's invisible. October has a feeling of potency. Rightness. The continuing of tradition. A field of technicolored flowers. It is with this theme that we introduce YAXHA Bordado's Homecoming collection. See you next weekend, Mother Millsaps! 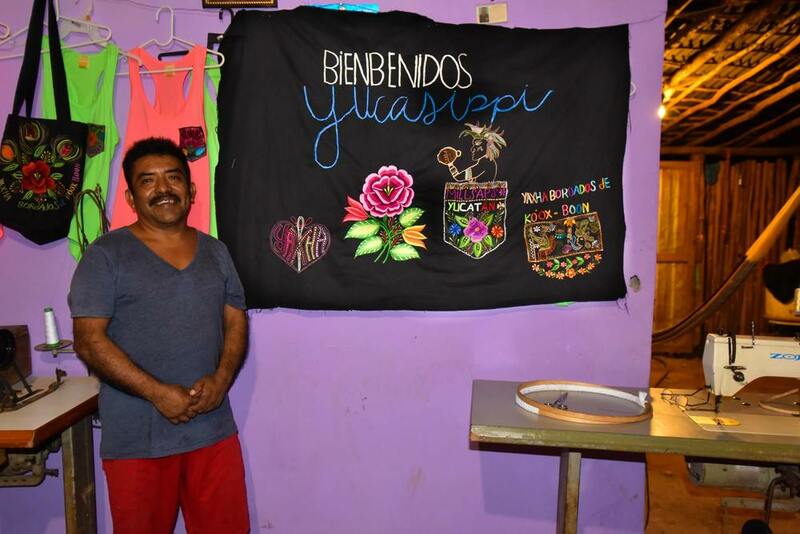 Purchase products from the YAXHA Bordados Homecoming collection at Millsaps College on October 30 & 31. Products include hand-stitched pillow cases, unique pocket t-shirts & tote bags. Remember, every purchase you make helps to provide dignified work for a Maya speaking artisan from Yaxhachen, Yucatán.